Recently I substituted in the library of an elementary school. At this school, each class has about 25 minutes in the library, so the Media Assistant reads a picture book or two and then lets the class loose to pick out books. Right before my last class of the day, second graders, the technology teacher told me she had to cover another class and so I would have the class of 28 kids for 45 minutes instead of the usual 25. For a moment, I panicked. How could I possibly entertain them for that long? "I need a good book," I thought. So I went over to the D section to see what might be available in the Kate DiCamillo section. Lucky for me, there was one copy of BECAUSE OF WINN-DIXIE checked in. I hadn't read it in a while, even though it is one of my favorites. But I have faith in Kate. At least I thought I did until I had those 28 faces looking up at me from the carpet where they sat. See, second graders are in this kind of weird stage when it comes to reading and books. I remember with my two sons, second grade was a really challenging time. They're often not quite ready for middle grade novels, even though they want to be. "Do you think you guys will be okay with a book that doesn't have any pictures?" I asked. Some of them nodded. Some of them shook their heads. "I bet you can do it. It's fun to use your imagination, right?" And so, with a wish and a prayer, I opened the book and began reading. 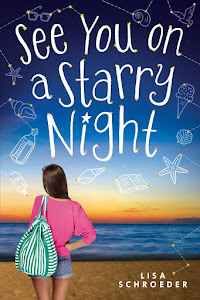 As I read those first pages, immediately drawn in to when Opal walks into that grocery store and sees everyone fussing over a dog (a stinky, ugly dog), I was reminded of what is so magical about this book. We are rooting for Winn-Dixie. And we are rooting for Opal. I read two chapters to those kids, and for fifteen minutes, they were completely captivated. The author does an amazing job of dropping in bits and pieces of background information here and there rather than a big info. dump. This is so important with younger kids, because it can really pull you away from what you care about - the situation at hand. 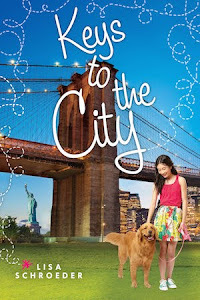 In this case, Opal finding a dog, taking it home, and wondering if her father (the preacher, as she calls him) will let her keep him. The other thing I noticed is what a master DiCamillo is at speaking kid-language. 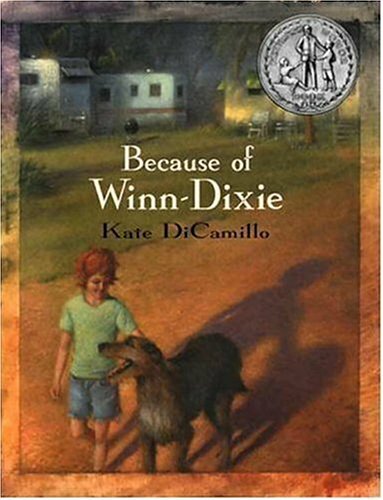 I mean, look at this great passage - we get a wonderful image of what Winn-Dixie looks like. "Once we were outside, I checked him over real careful and he didn't look that good. He was big but skinny; you could see his ribs. And there were bald patches all over him, places where he didn't have any fur at all. Mostly, he looked like a big piece of old brown carpet that had been left out in the rain." So I'm jotting mental notes to myself as I'm reading: create suspense/tension right off the bat, create characters you can't help but root for as quickly as possible, keep background information to a minimum, and watch the language and rhythm of the story, using details kids can easily pick up on. Yes, I've heard these all before, but it's so powerful when you actually see it in action. I'm actually thankful I had that class for a longer period of time. It was a good lesson for me in what holds kids' attention. And now I've decided I'm going to keep reading this gem of a book. Two chapters was all it took to remind me of how much I love it. I can't wait to revisit the other characters Opal will get to meet in the coming pages. 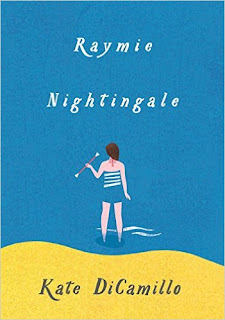 So once again I just have to say - hooray for Kate DiCamillo! 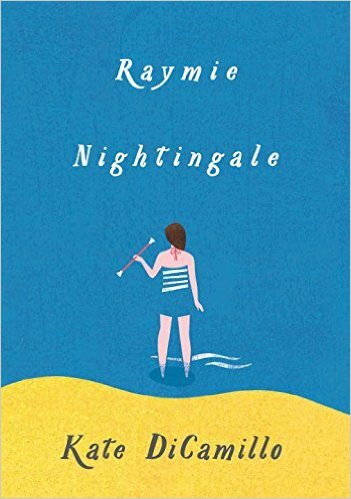 She has a new book coming out in April, 2016 called RAYMIE NIGHTINGALE, and I am so, SO excited!